The toe hold, also known as mata leão no pé, americana no pé or pé de vaca* in Portuguese, is a footlock submission where the attacker holds the ankle of his opponent close to his chest, using a ‘kimura’ type grip to control the end of the foot, usually touching his little finger (pinky) to the opponent’s toe. With this grip in place the aggressor will turn the foot, causing intense strain to a number of joints, being the talonavicular joint (usually) the most affected. The toe hold is also known to have caused strain to the knee ligaments. The toe hold was a popular position in Brazilian jiu jitsu during the 1970’s, often applied by students of Rolls Gracie who was a footlock instigator in grappling. 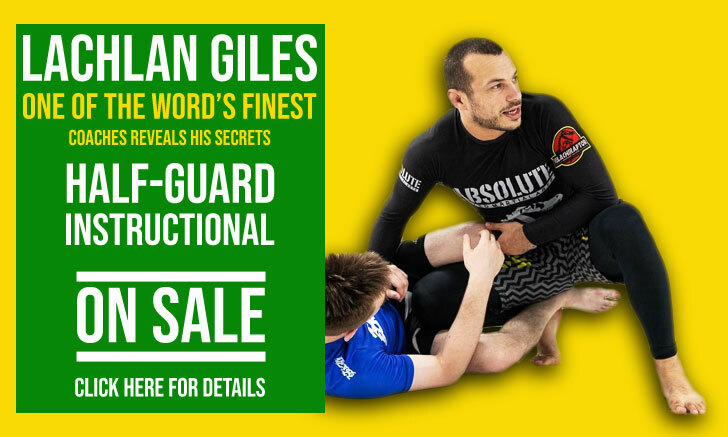 The position became very rare during the 1980’s and 1990’s but was still taught as part of jiu jitsu’s standard curriculum by some academies. It returned to mainstream jiu jitsu tournaments in 1999, by way of Rodrigo “Comprido” Medeiros who used the position to submit the heavy favorite Roberto “Roleta” at the final of the world championship’s absolute division, bringing that way recognition once again to the powerful submission. The toe hold has been a part of Brazilian jiu jitsu since the early beginnings and was taught at the Gracie Academy. The position originated in judo’s ashi dori garami, meaning “entangled leg dislocation” (source: JudoInfo.com). It is well known that the late Helio Gracie frowned upon footlocks, who, according the the book Carlos Gracie: The Creator of a Fighting Dynasty, by Reila Gracie, used to call footlocks a “suburban (uncultured/brute) technique”. There is a lot of debate regarding the use of footlocks by the Oswaldo Fadda schools, and the lineage he left behind, this because of the famous grappling challenge between the Gracie and Fadda academies in 1951, one that was decided in Fadda’s favor due to the knowledge of footlocks displayed by Oswaldo’s students. Which footlocks were utilized remains unclear, but research seems to point for the use of the straight footlock (achilles) and not the toe hold. Although a direct student of Helio Gracie, Rolls Gracie was well known for his inquisitive and open mind. His tampering with judo, wrestling and sambo opened the doors of jiu jitsu to a wide variety of technical innovations. One of the things where Rolls broke the norm was in the footlock department. 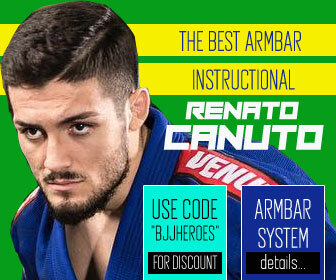 Rolls often encouraged his students to attack legs and feet, and many of his students became leg lock specialists, being Marcio Stambowsky (the famous Macarrão) and Jorge “Careca” two of his most well known footlock experts. Yes, we used to call it “Pé de Vaca” because it was like a “Mão de Vaca” (wristlock) but on the foot. I wasn’t the only guy doing it, many other students of Master Rolls were awesome at it. Rolls always encouraged us to attack the feet, especially me because I was very tall. He used to say that if he was as tall as me, no one would escape his footlocks, but to be honest, even though he was a lot shorter than me, no one did (laughs) – Marcio Stambowsky. Although the toe hold was one of Rolls’ favored weapons, the position fell in disuse after his passing in the early 1980’s, remaining almost in a hibernating state until the late 1990’s. 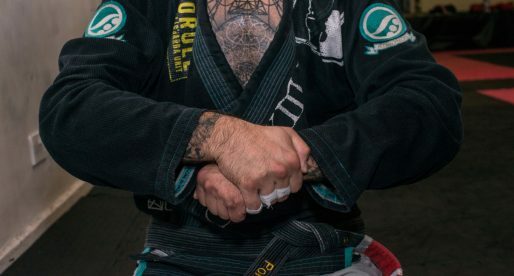 Coincidence, or maybe not, the toe hold made a comeback which came directly from a competitor taught by a Rolls Gracie black belt. The name of that competitor was Rodrigo “Comprido” Medeiros. “Comprido” made the submission famous in 1999 against the aforementioned Roberto “Roleta” Magalhaes. A few years later, “Roleta” mentioned in an interview to Gracie Mag that he had never seen that position before, and that it was the first time he had ever been submitted with a footlock. Though “Roleta” had never seen the position before, Rodrigo Medeiros was fully aware of the position as he trained it regularly at the Alliance academy, in fact, Rodrigo had already used the position at the final of the Brazilian Nationals (brown belt) against Carlos “Xuxu” Chermont the previous year. The success of the toe hold at the final of jiu jitsu’s prime event meant that more people started playing with the submission, a move that worked well against the “freestyling” open guards of the early 2000’s. As the no gi aspect of jiu jitsu grew, so did the tendency to use more foot attacks, that tendency prevailed in modern day jiu jitsu. * Pé de vaca was a common name for the position during the 1970’s in Brazil, though the name is no longer applied by most within the jiu jitsu community. In IBJJF rules, jiu jitsu’s main governing body, the toe hold is only allowed in competitions, for brown belt and above ranked athletes. In other tournaments, such as FIVE Grappling it is allowed from purple belt, and in another highly popular jiu jitsu tournament, the ADCC, they are fully allowed. 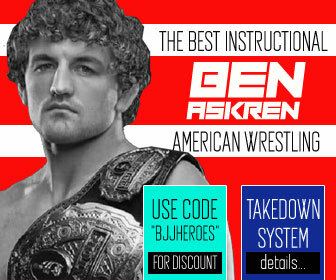 If they tap its jiu jitsu. 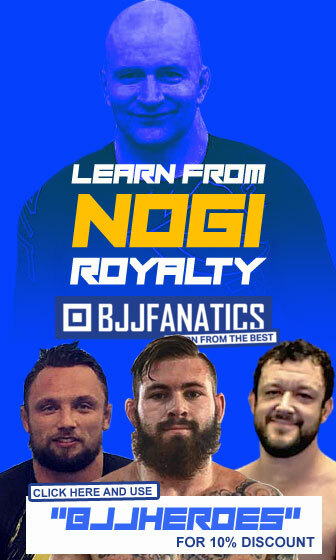 I don't get the hate that leg locks and neck cranks get from the BJJ community. They are just like any other submission in that they are meant to be dangerous but can be learned and drilled safely.